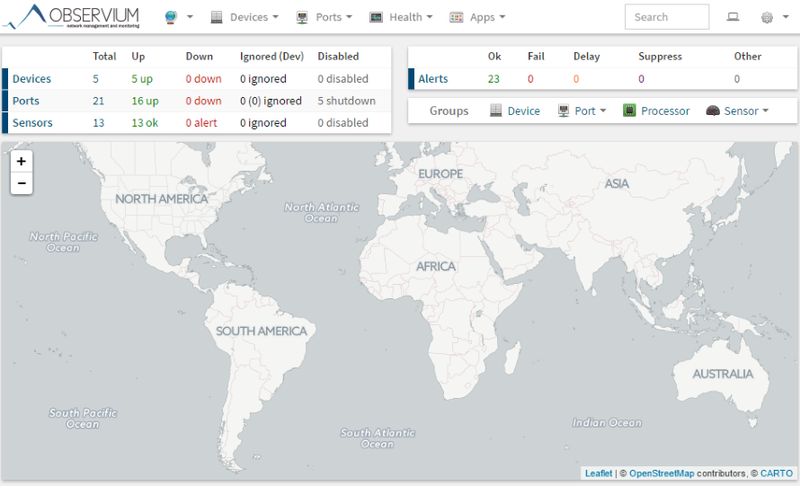 Observium is an auto-discovering network monitoring platform supporting a wide range of hardware platforms and operating systems including Cisco, Windows, Linux, HP, Juniper, Dell, FreeBSD, F5, Brocade, Citrix Netscaler, NetApp and many more. Observium seeks to provide a powerful yet simple and intuitive interface to the health and status of your network. Please check out some screenshots demonstrating Observium's user interface and features. Installation guides are provided for Ubuntu/Debian and RHEL/CentOS 7. Community Edition installations can be upgraded to the Subscription Edition following this migration procedure.